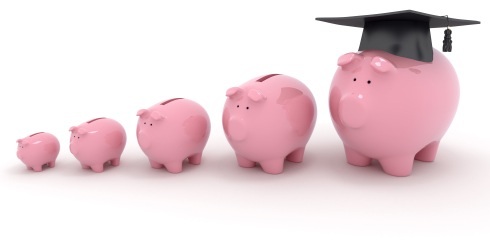 Best college savings plans for saving for college, a big investment in your child's future. Start saving early, when the funds have time to grow. Take advantage of the tax incentives to save for college. 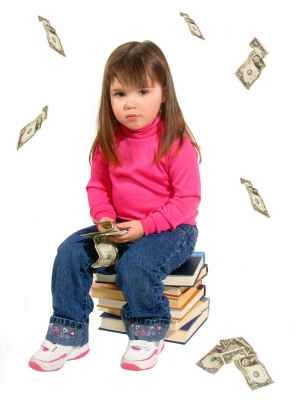 Finding money for college is a lot easier if you start early at saving for college, when your child is young. Don't depend on grants, scholarships or student loans to be there later. Consider some of these college savings plans which offer tax incentives and flexibility. These qualified tuition programs, called 529 plans, allow earnings to grow tax-deferred. Distributions are tax-free when used for qualified college education costs. These plans are operated by different states or financial institutions, like Fidelity or Vanguard Funds. These funds are very flexible, in that you can contribute large amounts of money and retain control over the funds. For example, if you child decides to go into the military instead of to college, you can use the funds for another child, grandchild, yourself or your spouse. 529 college savings accounts are considered the one of the best ways to save for college at this time. However, the savings must be reported on the FAFSA and CSS Profile, so it will be considered when calculating the expected family contribution toward college. 529 plan withdraws are not counted as income, as they are already taken into account as savings. Since financial aid dollars are becoming more scarce, people who started saving early are glad they did. The Tax Cuts and Jobs Act (TCJA), signed by President Trump at the end of 2017, changed the 529 plans so starting in 2018, you can now use up to $10,000 per year from a 529 savings plan for elementary and high school costs. This may result in changes to how states treat 529 plans for college. Regardless, if you spend the money for elementary and high school, you will have less money available for college. Many people don't consider a Roth IRA as their college savings plan, but it actually has many benefits. You can save $5000 - $6000 per year depending on your age (and also for your spouse). If this is sufficient for college savings, and you have other retirement savings like a 401k, a Roth IRA may be a good choice. Your contributions to a Roth IRA can be withdrawn at any time for any purpose without penalty or tax, and the savings does not count as savings for college on your FAFSA application. If you don't need the money for college, you can leave it in for retirement. For example, say you and your spouse each put $5000 per year into a Roth IRA for 10 years. After 10 years, you will have contributed $100,000 into your Roth IRA. Depending on how you invested the money, let's say it earned $40,000 over the 10 years. You can take any or all of the $100,000 our at any time for any reason, including college expenses. If you want to withdraw any of the $40,000 earnings, you may owe taxes depending on your age and how long you held the funds. So if you plan to use the money for college, the best strategy is to only plan to use your contributions for college, and the earnings for retirement. Personally, I would consider funding your Roth IRA first, then if you are finding more money for college that can be saved, use the 529 plan. Later, when you are paying for college, spend the money in the 529 plan first, and use your Roth IRA contributions as a backup. If you use your Roth IRA to fund the last year of college, the money won't count as income in the financial aid calculation. These accounts limit you to $2000 per year but do allow earnings to grow tax-deferred and distributions are tax free when used for college education expenses. Most U.S. Savings Bonds purchased after 1989 may be redeemed tax-free to pay for college tuition and fees. This tax exclusion is phased out for higher incomes. An UGMA or UTMA account is a custodial account where the assets are transferred to a child, and in some cases taxed at a lower tax rate than the parent. For financial aid purposes, the assets belong to the child. When the child turns 18 or 21, depending on the state, the parent no longer owns the assets, whether or not the child goes to college. These plans were popular in the 1980s and 1990s for saving for college. 529 accounts are more popular now, and some parents have transferred the money from old UGMA or UTMA accounts to 529 college savings plans. In a custodial 529 account, the funds actually will become property of the student, however for financial aid purposes, they are treated on the FAFSA as savings of the parent for dependent students, and savings of the student for independent students.